WHITMAN — Chief Timothy J. Grenno and the Whitman Fire Department are recommending a series of precautions to residents in the event of a hurricane or tropical storm in the coming weeks and months. Although the Atlantic hurricane season is officially June 1 through November 30, the most active time for these storms in Massachusetts is late August through September, according to the Massachusetts Emergency Management Agency (MEMA). 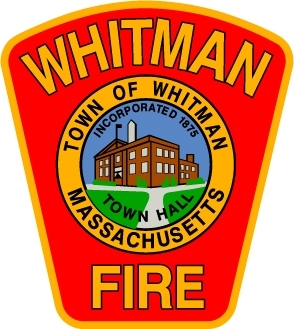 The Whitman Fire Department Facebook page, Whitman Police Department Facebook page and the Town of Whitman website will be updated regularly during the event of a hurricane or significant storm. Residents can also sign up to receive emergency notifications here. NORTH HAVEN — Chief Paul Januszewski and the North Haven Fire Department are recommending a series of precautions to residents in the event of a hurricane or tropical storm in the coming weeks and months. The Atlantic hurricane season runs from June 1 to Nov. 30, with the largest threat period for Connecticut occurring from mid-August to mid-October, according to Governor Dannel P. Malloy’s office. The North Haven Fire Department Facebook page, North Haven Police Department Facebook page and the Town of North Haven website will be updated regularly during the event of a hurricane or significant storm. Residents can also call 211 to obtain statewide information. Learn what to do in case of an emergency where you work and at your child’s school or daycare. Sign up for the Connecticut Emergency Alerting and Notification Systems to get emergency messages emailed to you or sent by text message to your mobile phone. For more information and to register, go to www.ct.gov/ctalert. Pick safe places in your home where you can go if there is an emergency. Have two different ways to get out of your home in case you have to leave. Pick a place that your family will meet in case you are separated during an emergency. – Pick one place that’s in your neighborhood. – Pick one place that’s outside of your neighborhood. Pick your family contacts – two people you and your family members can call in case you are separated during an emergency. – Pick one person who lives in the same state. – Pick one person who lives in a different state. – Write down your contacts’ phone numbers and make sure everyone in your family has a copy of them. Pick a place where you can stay in case you have to evacuate your home for a few days. Make a plan for what you will do to keep your pets safe if there is an emergency. Know how to turn off the electricity, gas and water in your home in case the need arises. Check in on your elderly or disabled family member and neighbors when it is safe to do so. Make sure they are prepared for the event of a hurricane. In addition, ahead of any storms that could make landfall, bring indoors or otherwise secure any lawn furniture or outdoor items that could be blown around in heavy winds.